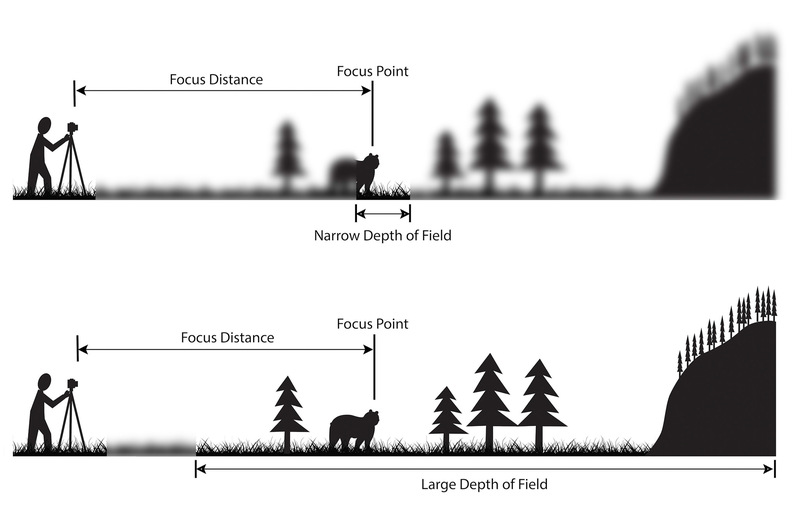 Depth of field (DoF) is one of the most important concepts in photography. Understanding what DoF is, and knowing what factors affect it, are things all photographers should master. Many photographers know that you can control DoF by adjusting aperture. But did you know that DoF is influenced by other factors too? In this article, I want to explain in simple terms what depth of field is and talk about the ways you can control it. 1) What is Depth of Field? Depth of field is the distance between the closest and farthest objects in a photo that appears acceptably sharp. Now your camera can only focus sharply at one point. But the transition from sharp to unsharp is gradual, and the term ‘acceptably sharp’ is a loose one! Without getting too technical, how you will be viewing the image, and at what size you will be looking at it are factors which contribute to how acceptably sharp an image is. It also depends on how good your vision is! Scientifically, it is based on something called the circle of confusion. This involves more physics than I’m going to get into here! Spencer talks about it in his article “Hyperfocal Distance Explained.” So check that out for more of the technical details if you are so inclined. In these two sketches, I have tried to illustrate what is meant by a narrow and large DoF. In a photograph with a narrow DoF, only a small slice of the image is in focus. Conversely, with a large DoF, much more of the scene is sharp. Before I dive into the things that affect depth of field, I wanted to show you the setup I used to take the sample images in this article. Hopefully, this will give you a bit more insight into the photos and a better feel for the distances between the objects I was shooting. To change the camera-subject distance, I moved my tripod closer/farther away from the props. All of the test images were shot with the same camera, a Nikon D500. Aperture is the opening in your lens that lets light pass through to the sensor. Think of it as a pupil for your lens. It dilates to let more light in, and contracts to restrict light when it is bright. Aperture is probably the first thing most photographers think of when they want to adjust the depth of field. Large apertures, which correlate to small f-stop numbers, produce a very shallow depth of field. On the other hand, small apertures, or large f-stop numbers, produce images with a large depth of field. This image has a large DoF. I focused on the rocks about 5m ahead of me. The foreground rocks and the distant clouds are all in focus. This image has shallow DoF. Here I focused on the boxing gloves. They are sharp, but the background is blurred. Another important factor affecting depth of field is the distance between the camera and the subject. The shorter that distance, the smaller the depth of field. Have you ever tried to take a close-up shot of a flower or insect, but can’t get the entire subject in focus, even with a small aperture? This is because the closer you are to your subject, the shallower the DoF. Look at these two sets of images. The camera-subject distance in the first group of pictures is 1.5m. After each shot I stopped down the aperture. The second set has a focus distance of just under a half a meter. Notice two things. In each set of pictures, as the aperture narrows, the DoF increases. In addition, for each pair of photos shot at the same aperture, there is more depth of field when the camera-subject distance is greater. Just a quick note. A variety of depth of field calculators are available online. You can also download DoF apps to your phone. All the DoF values mentioned in this article were calculated using the application Simple DoF Calculator for my iPhone. If you are interested in the actual formulas for calculating depth of field, you can find them here. Wide-angle lenses (short focal lengths) have a deeper depth of field than telephoto lenses (long focal lengths). Well, not exactly! It isn’t quite as cut and dry as that. If you take an image and do not change the camera-subject distance, this is true. You can see this illustrated in these two sets of images below. The top set is shot at a focal length of 70mm. The bottom set at 105mm. Both sets were taken at a distance of 2m from the subject. Notice how for each pair of images shot at the same aperture, the DoF is larger for the narrower focal length lens. However, it isn’t fair to compare these two sets of images. The field of view in each collection is very different. The top group of images has taken in much more of the surroundings, and the reindeer are much smaller in the frame. To make the comparison fair, I took two more shots. The first was taken at a focal length of 35mm and approximately 0.6m away from my focus point (still the eye of the nearest reindeer). For the second image, I moved the camera back, so it was 1.2m away from the subject. Then I zoomed into 70mm and framed the shot so that the head of the deer was approximately the same size and location as in the first shot. It turns out the DoF in both these images is the same. You can see this looking at the acorn in front of the deer’s nose and the snowflake and acorn just behind the nose. In both images, they are equally sharp. So why do the two shots look different? Well, two reasons. The first has nothing to do with depth of field. I’m afraid that while I was composing and shooting, the sun went down! So, you must ignore the fact that the background is darker in the second photo. I do apologize for this! Apart from that, the difference lies in the fact that the longer focal length has a narrow angle of view. Thus, a smaller portion of the background fills the frame. The apparent magnification of the background gives the sense that the blur is larger in the photo shot with the longer lens. My article “What is Lens Compression and How to Use It In Your Photos” talks about this in more detail. So focal length does not actually influence DoF if you adjust the camera-subject distance so that the magnification of your subject is the same. Sensor size also affects depth of field. The article “Sensor Size, Perspective and Depth of Field” goes into quite a bit of detail on this topic. So for more of an explanation follow the link. In a nutshell, cameras with smaller sensors have larger depths of field. However, you have to be careful how you make the comparison. You must look at cameras with lenses that have the same effective focal length so that the fields of view are the same. If you shoot at the same camera-subject distance, with the same apertures, you will find that the larger sensors have a shallower DoF. That is why many professional portrait photographers like to use full frame cameras. Here is an example. A full frame camera with a 120mm lens, an APS-C camera with an 80mm lens, and a Micro 4/3 camera with a 60mm lens (all the same field of view) are each set to an aperture of f/9 and a camera-subject distance of 5.0m. 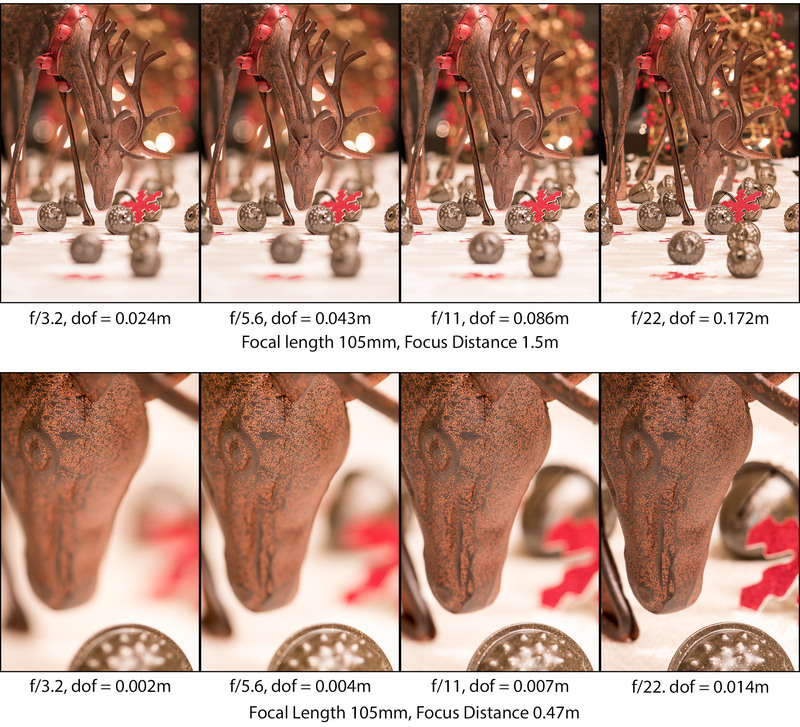 This table summarizes how the DoF will look in each image. A common question though is can you take similar images, with the same DoF’s, using cameras with different sensor sizes? The answer is yes. However, you must divide the apertures by the crop factor in order to get the same depth of field. Using the same cameras and lenses in the above example, but setting an aperture of f/18 on the full frame camera, f/12** on the APS-C sized sensor and f/9 on the Micro 4/3 camera, you will end up with images that not only take in the same field of view but have approximately the same DoF. *** although f/12 would be the mathematically correct physical aperture, you would have to select either f/11 or f/13 on your camera. Many DSLR’s have a depth of field preview button. If you press this button while you look through the viewfinder, the camera will stop down the lens, and you will see how the actual image will look. However, at small apertures, the viewfinder will get very dark, and it will be hard to see the preview! Live view can also be used on some camera models to preview how the DoF will look. Check your instruction manual to see if your DSLR can do this. Mirrorless shooters potentially have an advantage over DSLR shooters because what they see through the digital viewfinder, or on the LCD is how the photo will typically look. In my opinion, it is not worth getting hung up over how many inches the DoF is in a picture. That would completely take away from the enjoyment of photography. It is much more important to know when you need a small DoF and how to create it. And the same is true when you need a large DoF. The beauty of digital is that you can take a shot, and then review it on the LCD. Quickly reviewing your image is much easier than pulling out your phone and calculating DoF! If you don’t get the result you are looking for, change your camera-subject distance or the lens aperture to get the desired effect. To achieve a shallower DoF you can either move closer to your subject or open up your aperture. For greater DoF, move away from your subject or close down your aperture. You can also use a longer focal length to achieve a ‘perceived’ shallower depth of field. Understanding what factors affect the depth of field in a photograph will give you the artistic freedom to make the images you want to create. You will learn the most from practicing. 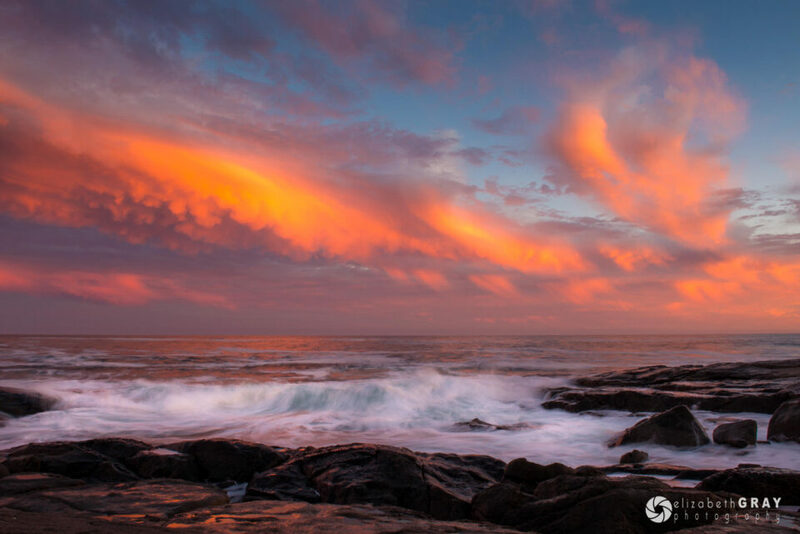 Take time to experiment with your camera; get to know it better. Try different focal length lenses, change apertures, move your feet to change your perspective. Analyze your photographs so you know how your gear performs. Then when it comes time to take pictures that really count, you will be ready. Wonderfully written and researched article, Elizabeth! Your section on focal length is the best explanation of camera position and focal length that I have read. Thanks, Spencer! Appreciate the feedback from you. Oh no, not another basic DOF lesson? Yet, maybe always a worthy topic to revisit. The more I learn about DOF, I realise it isn’t that basic. The word I come back to is, what is “acceptable” depth of field? And also, the importance of NOT having things in focus can be nearly as important as parts I need to keep in “acceptable” focus. Because DOF is a creative tool and all tools needs to be mastered. So thanks for the above effort. The importance of focal length and just try different lenses, you are absolutely right. And have fun too. I’m glad you enjoyed the article, Hoeras. You are correct, what to keep out of focus is just as important as what should be sharp. Keep shooting! Elizabeth, a very nicely written article – replete with effective examples and illustrations. Well done! If I may, I’d like to add a few points. 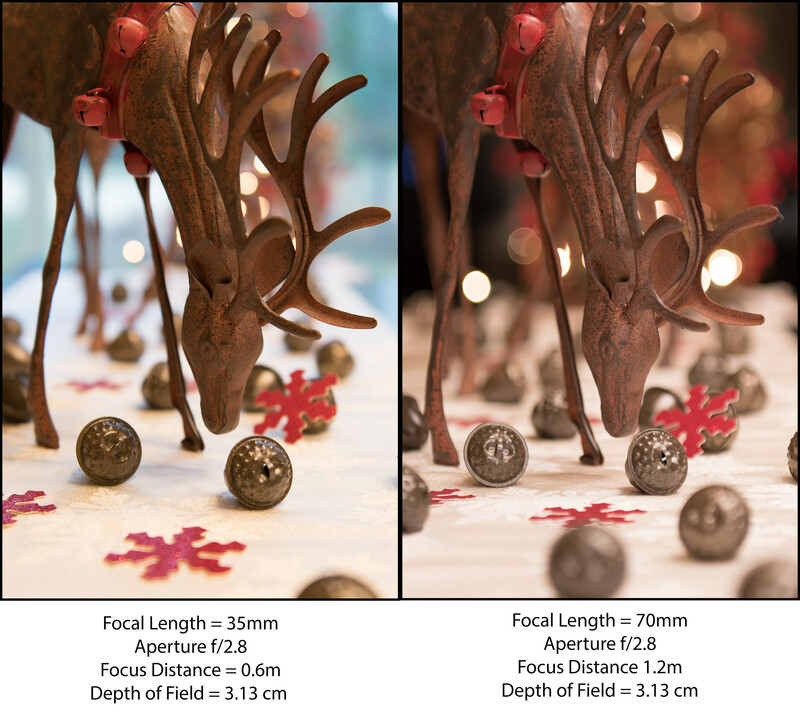 In Section 4, Focal Length of the Lens, you discuss why the two images taken at different focal lengths but with the same DOF (subject distances adjusted to achieve this) appear different, citing the angle of view. Actually, the main difference between the two is the *perspective* . In your images, there is a marked difference in size in foreground objects between the two, as well as a marked difference in the spatial relationships between the near and far – all by virtue of the different subject distances. Further, in your concluding point in Section 4, I agree the focal length does not actually change DOF, but only if the subject distances are adjusted so that the *magnification* is the same, not the angle of view. The reindeer in both images are the same size . . . Finally, for those photographers who use bigger formats than 35mm (such as 645 and 67), would we expect the DOF values in your first format comparison table to also be smaller? Thanks! Thanks, Rick! I appreciate your comments. Sorry, missed the answer to your second question! Yes, the larger the sensor the smaller the DoF. The crop factor for the 645 format camera (56mm x 41.5mm) is 0.62. For a 6×7 (56mm x 67mm) the crop factor is 0.5. To simplify the math, let’s use a 6×7 format. To continue the example above, you would need to use a lens with a physical focal length of 240mm to see an effective length of 120mm. At f/9 the DoF would be 0.45m. Glad you enjoyed it and learned a bit, Ranender! Thanks for taking the time to comment. Thanks for the article. You have simplified it very well. Have you tried the same experiments with changing shutter speed? Recently I have done an interior photography of an office. I have got tried to capture with different shutter speeds and found that shutter speed increase the DOF. Well, I need to do some more experiments like you have done. Thanks once again. Hi, Vivek. Thanks for your comment. Shutter speed will not affect the DoF. What you are probably seeing is that when you change your shutter speed, your aperture changes to balance the exposure (assuming your ISO is constant). If the apertures are the same and only the shutter speed changes, the DoF will remain the same. Let me know if you have any more questions. Experimenting with shutter speed, though, is another creative way to make images. Pretty good article, thank you Elizabeth for this text ! Glad you liked it. Thank you for the comment. Thank you Manohar! So glad you enjoyed it. One point which is not directly related to the technicalities of DOF but more to aesthetics is that of subject to background distance. Many people with cameras that have smaller sensors or lenses with smaller apertures can also achieve a blurred background by moving their subject away from the background [ or the background away from the subject ] if possible . I always cringe when I see people pushing their subjects almost right against the background and taking the photos right there just because they want to show the beautiful flowers or whatever in the photos. Fred, I agree with you. Thanks for your comment, Fred. 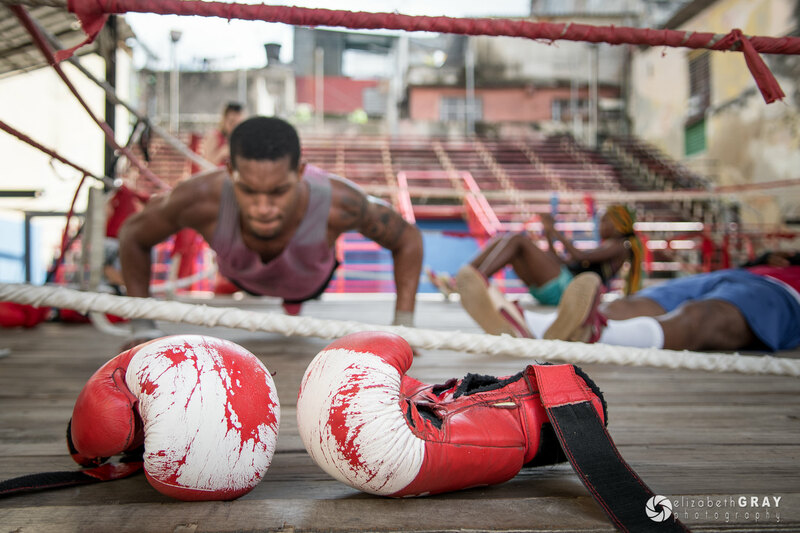 Moving your subject away from the background is a great way to isolate it. Thanks for bringing that up. Excellent write up. Thank you for sharing your knowledge. Thank you so much, Sabeer, for your comments. I’m glad you enjoyed the article. 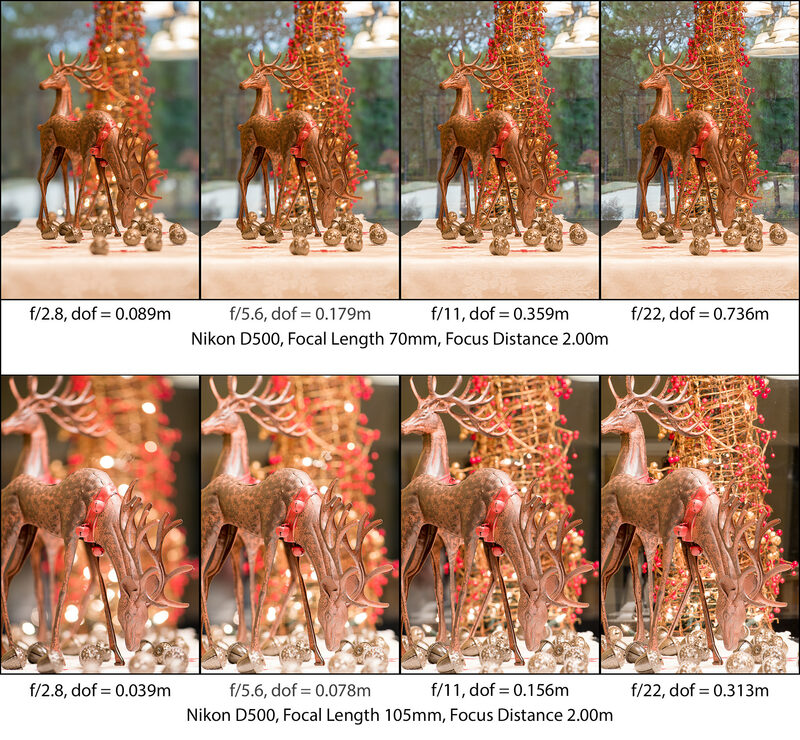 The comparative tables of DOF for the different sensor sizes is interesting. Thus, for achieving the same DOF, a small-sensor camera could use a larger aperture, all else being equal. This camera could then benefit from using faster shutter speeds and/or lower ISOs, which may result in better image quality. So, for dedicated macro photography, would you recommend a DX camera over an FX ? Hi, Lemc. Thanks for your comments. I would be happy using either. I have used both my D500 and D800 for macro work using the same 105mm lens. I don’t think there is an advantage to using one over the other. Theoretically, the DX sensor will give you more DoF. However, I would consider your other needs as well. Are you thinking of purchasing a new camera just for macro work, or trying to choose between two cameras that you already own? Hi Elizabeth. This camera is going to be purchased, and it would be used primarily for macro photography (insects and other small invertebrates) in a scientific environment and using the micro-Nikkor 105mm lens (or equivalent), either in a laboratory or in the field. In the latter case, non-macro photos, such as with a 24-70mm zoom (or equivalent), would be taken occasionally. I had read that a DX does have greater DOF compared to a FX, and your tables show this clearly. Further, because of the additional theoretical advantages of a DX camera I mentioned in my post, I thought that it would be clearly superior for macro photography. Small formats do *not* provide a DoF advantage, because the effect of diffraction scales with the crop factor. E.g. Using a 105 mm macro lens set to, say, f/22 on FX will give the same DoF and diffraction on DX when set to f/15. The reason I use a small format camera for macro work is simply because the camera is smaller (it’s more convenient for my particular requirements). Thanks for the additional technical details. Very helpful. Lemc, I sincerely wish you all the very best with your endeavours. Macro photography in a scientific environment is essential for furthering our understanding of the plethora of stochastic processes that have resulted in producing our natural world. I landed on this article while was searching for Depth of Field. Brilliant article and helped me understand the concepts very easily. Thanks a lot. Thank you, Navin, for your kind words! I’m glad I could help. Lots of other great articles on the site too! I’ve got question about the second table in part 5, comparing full-frame, APS-C and MFT. It seems to me the heading of the aperture column should be “Aperture” not “Effective Aperture”. Aren’t you saying that the physical aperture should be set to f/18, f/12 and f/9 respectively for FF, APS-C and MFT? The “Effective Apperture” (for full-frame) will then be f/18 for all of them, i.e. as you have put in the foot-note, Effective Aperture = Aperture x Crop Factor, so f/18 x 1 = f/18, f/12 x 1.5 – f/18 and f/9 x 2 – f/18. Given that “Effective” is being used in the sense of “Full-frame Equivalent” or FFE, for the focal length, then I think using the term for the aperture ought work in the same way. As I said I feel like I’m sounding very picky, but it got me a bit confused at first and some of our members might get even more confused. Our club assignment this month is a shallow DoF exercise and I think some with smaller sensor cameras may not grasp why they have struggled to get a really shallow DoF (perhaps coupled with a slow f/4 zoom lens). Most of us have APS-C or MFT, one or two have FF, and some 1-inch or smaller – many don’t know what their crop factor is or that it makes a difference. So sorry I didn’t respond earlier! Your email reminder slipped down to the bottom of my page and I simply forgot about it! Just saw your question after responding to a couple of new comments. I’m glad you liked the article and that it could help some of your club members. Depth of field can be a hard thing to wrap your head around, especially when talking about cameras with different sensor sizes. I just updated the table you were talking about to try and make it clearer. Thanks for pointing it out the ambiguity. I’m surprised that no one else questioned it sooner! Hopefully, that change will make more sense. Let me know if you have any other questions and thanks for keeping me on my toes! It was interesting reading your articles.Also it helped me too.it helped me with depth of field.It was a good explaining.thankyou. I’m so glad I could help Arish! I’m always writing more, so check back here or on my website for the links. Thanks for the kind words and happy shooting! So clear!! I’ve been trying to find information as clear as this everywhere online and in books but yours is the only post that managed to explain it to genuine beginners like myself. Many thanks for your help – it’s very much appreciated! Thank you so much for your kind words, Eva! Glad my article helped. If you have any questions, just drop me an email anytime. Appreciate this article very much. I’m new to the field and have so much to learn, this is very helpful. I have a very analytical mind and so the experimental approach was so logical! Thank you. Elizabeth, I’m truly happy I have found your articles. I’ve read so many and also taken a course on line. None of them have been so absolutely clear as yours. It is the first time that I fully understand the concepts. Now, I have to practice. Thanks a lot. Thank you, Myriam! I’m flattered! Now go and shoot, shoot, shoot! Thank you for the article. It is very interesting, and your photos are excellent. Could you make a photo of a chessboard, which is perpendicularly to the camera? Antoni, sorry, I’m not quite clear on what you are asking? DoF is measured into the frame, perpendicular to the sensor. I apologize. I have wondered this same thing. If I was photographing a picture at the center of a long flat wall with a wide angle lens, standing in a place where the distance between me and each edge of the wall was equal distance (like a triangle), would the entire wall be in focus? In this example, the distance from the camera to each edge of the wall is longer than the distance to the picture. Antoni was expecting that the edges of the wall will be out of focus because they are farther away from the camera sensor. Elizabeth, I just wanted to thank you for the clarity of your explanation. I was attempting to explain to a young friend and the beginning of your article with the images of the lenses in the aperture scale made clear what I could not. Thank you, Violet. So glad I could help! Thank you so much for your kind words, Arjun. I appreciate your feedback. Great article! The best I have read. Well written and great examples. Wish I had found this years ago! First, great article with visual examples which anyone can set up and experiment with at home. Now to my question. I am a photographer and recently started shooting birds. Since birds typically will not come to you, and you cannot easily get closer to them, longer focal lengths must be used. At longer focal lengths, a smaller aperture must be used to get the entire bird in focus which results in less light reaching the sensor. One cannot compensate for this by using a slower shutter speed, because the birds are always moving something. In the end we are often stuck with high ISO photos that lack definition and are too noisy. Here is my question. If I have determined (for DOF purposes) that I need an aperture of f16 at 500mm, does the “speed” of the lens itself matter? Said differently, at 500mm and f16, does the camera sensor see more light from a fast 500mm f2.8 lens than it would from a slow 500mm f8 lens? Great explanation with clear visual illustration. Love it! When I mention to non-photographers what DoF is, and how it changes with focal length, that wide angle lenses have greater DoF and tele lenses have small DoF, their eyes glazes over. But there is no denying, if you want to take good and creative photos, you have to deal with and get a fundamental idea how to use it. But that is what creativity is about, mastering things like this. Good article. I am about to teach a class in just this concept and wanted to check myself. I actually do the same demo (except with dry-erase markers instead of reindeer!) and the students are always shocked that the exact number of markers are in focus whether its a 28mm lens pushed close or a 100mm backed away. It’s also a really good lesson in perspective, as it shows a dramatic change as you proceed from wide to long lenses. Re the birder with the 500mm lens: it’s always interesting that a newbies will get a super-telephoto lens before they grasp the basics. I did, too. It was a very quick learning curve sprinkled with awe & frustration. Keep up the good work. Great, love the sample images. I struggle with my Canon AE1 and your article helps me a lot.